Birth photographer from Morden Manitoba creates slideshows of your baby's birthday. Birth photography captures those very precious memories. A beautiful, peaceful and fast home water birth. Momma was surrounded by the love and support of her partner, many midwives (including her own Mother) and her sister. What a blessing it is to be invited into these tender and intimate moments and be allowed to share them with the world. The care our Manitoba midwifes provide to labouring families is unparalleled. Beautiful water birth at Boundry Trails Health Centre. This amazing single mother brought her son swiftly into the world with the support of her own daughter and her sister. After having to deliver her last baby, over 13 years ago, by section, this mother had the peaceful water birth she had hoped for. This room was so full of love, smiles and laughs. Its always such a pleasure to work so closely with ur amazing Manitoba midwives, their care is stellar. A beautiful birth of a young couple's first born, a perfect little girl. Not all births happen the way we wished, but each is beautiful. This birth is especially close to my heart, being almost a year after I documented this couples wedding. A beautiful hospital birth of their first boy. This Momma was well supported by her loving husband and amazing staff. 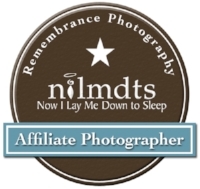 I'm honoured to have been there as both birth photographer and doula. Blake arrived safely via scheduled c-section on my birthday no less. What a way to celebrate!! This was an emotional birth for this beautiful family who suffered so much loss waiting for this little one. Thank you to the lovely nurses at Boundry Trails Health Center who snapped some pictures in the OR that I've included in this video. The beautiful story of Harrison's birthday. This room was FULL! Full of family and love. It was an amazing, emotional time and I am so blessed that they shared it with me. Welcome here little guy, you are loved more then you know. The Birth of Grayson Atticus. I was so blessed to be able to be there with my dear friend the day of her Son's birth. She trusted me and left it in my hands to tell their story. I love the way her and Hubby danced through her contractions, it was beautiful, full of love and I will never forget it. A long, hard labor full of love and tears, brought this sweet girl earth side. Momma was well supported and cared for. It was an honour to be there to witness her day. This birth was full of so much love it could be felt. Things don't always go as planned, but they always go as they should. This home birth turned hospital birth and Eve was welcomed into very loving arms. The amazing birth story of rainbow baby Lily. This strong Momma lost her son Landon to ICP (http://www.icpcare.org/what-is-icp/symptoms/# ) and chose to have a csection to ensure Lily's health and safety. Lily's Mother has written a book about the loss of her son and runs a retreat for loss mothers, follow the links below.